As we read Pride and Prejudice, we come to understand that everyone in the book—from Elizabeth to Darcy, from Jane to Bingley, from Mr. Bennet to Mrs. Bennet—exhibit behaviors that demand remediation. However, during the magisterial novel, only the romantic tetrarchy is shown to learn enough to alter their inherent natures. The remaining characters, while crying out for change, are never allowed to grow past their dramatically-necessary caricatures. Caroline sneers. Mary glowers. Mrs. Bennet flutters. Mr. Bennet ignores. Lydia flirts—or worse. And, Kitty coughs. The Bennet Wardrobe grew out of my sense that the people populating the original novel, and toward whom the main characters reacted, deserved some form of redemption. Perhaps deserved is not the best word. If I were to reframe my motivation as a question, then I would ask What sort of person would __________ become if allowed to overcome their inadequacies? Have you ever wondered that as you read the Canonical books? My device to allow an exploration of the growth of the secondary actors was the Bennet Wardrobe. On its surface, the Wardrobe allowed each to find a possible outcome that was rooted in both Miss Austen’s original sketch as well as my own suppositions about the structure of their psyche. I have treated with Mary and Kitty Bennet in The Keeper and The Exile (parts 1 and 2). 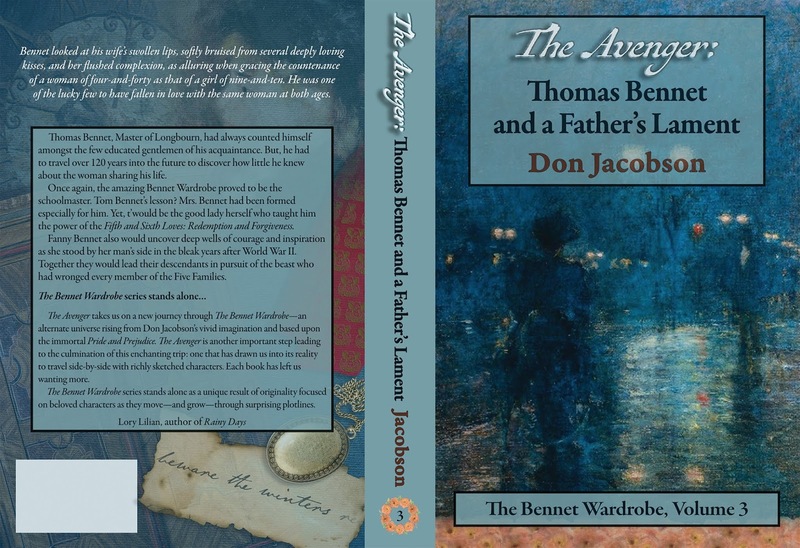 In The Avenger, I consider the state of Longbourn’s father, Thomas Michael Bennet. Bennet’s need is clear. He is described, at best, as an indolent man and an indifferent father. As we imagined that Mrs. Bennet would calm after Jane and Lizzy marry, so, too, did Mr. Bennet begin to change after the double weddings. By the time we come upon Bennet in late 1814 (the earliest point chronologically in The Avenger), he has had nearly three years of Fanny Bennet’s moderated nerves, has spent considerable time engaging with Mary now a socially-conscious woman, and has encountered the loss of a daughter who could not survive, let alone thrive, one more moment in Longbourn’s precincts. All of this has prepared the ground for change but is not the frame within which a new picture of the Master of Longbourn can emerge. Yet, he cannot do anything without another. And, that becomes the center of this novel: a revitalized love story wrapped in an adventure full of noir themes. Just as Tom Bennet cannot change without another, neither can Fanny Bennet. While she is not a child of the Wardrobe, that cabinet has determined (yes, we do begin to see the Wardrobe as a personality unique unto itself) that for Mr. Bennet to change and grow, so too, must Mrs. Bennet. The couple must rediscover their love which was first ignited in a Meryton parlor in 1789. With that love comes new-found respect. I also use the story within The Avenger to explore something which is even more important to me; my belief that the Wardrobe Universe, nay, our universe, is powered by love. Not just any generalized sort of affection, but rather ardor which carries specific freighted meanings. I use Tom and Fanny Bennet as the primary vehicles to explore this. I refer you to my extension of C.S. Lewis’ Four Loves (Storge, Philia, Eros, Agape). To me, the Wardrobe is powered by two additional loves: The Fifth Love (Exagoras agapis—the love which drives us to be the best versions of ourselves) and The Sixth Love (Synchotikí agape—the love which forgives). These transcends the other forms, in my opinion, because these are active forms driving humanity rather than states of being. Perhaps they could be considered those forms which must be undertaken by the Bennets to re-ignite their agape. Jane Austen wrote using, without articulating, the Fifth and Sixth Loves, so I do not feel like I am moving too far away from the Austenesque formulation. Consider the work Darcy does to make himself a better man to win Elizabeth’s regard. Likewise, consider the way in which Elizabeth explores her notional constructs and grows beyond her adolescent surety to overcome that which has prevented her from seeing the goodness in the center of the Derbyshire gentleman. That is the Fifth Love! As for the Sixth Love: once Bingley has shaken himself loose from his dependence upon the opinion of others (a Fifth Love process), Jane uses the forgiveness that is the Sixth Love to allow them to share a lifetime of happiness. So, too, with Darcy and Elizabeth. Only after Tom and Fanny Bennet find their agape after moving through the Fifth and Sixth Loves, can they join with their descendants to avenge the terrible wrong committed against their family. 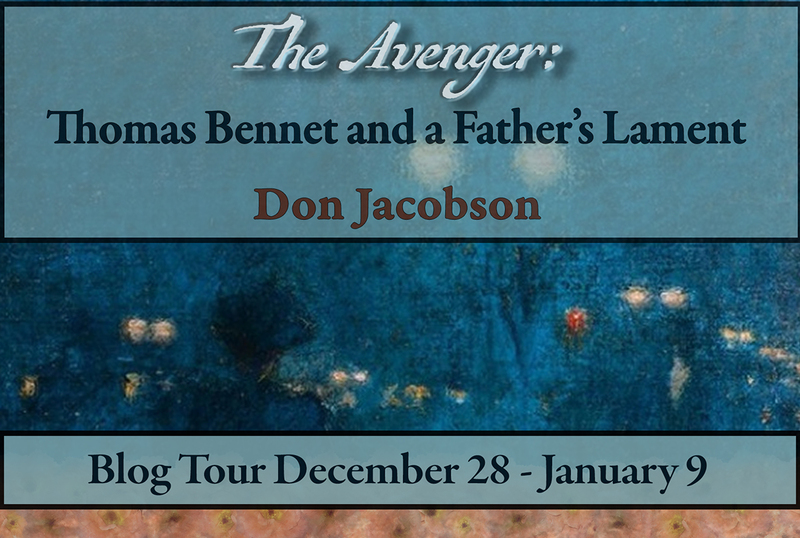 I do hope you will enjoy this excerpt from The Avenger: Thomas Bennet and a Father’s Lament. I look forward to your comments. 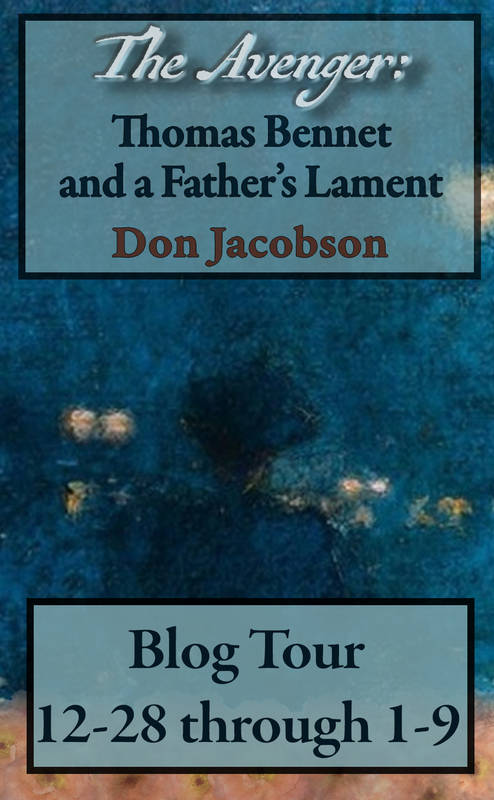 This excerpt is ©2018 by Don Jacobson. Any reproduction of this excerpt without the expressed written consent of the creator is prohibited. 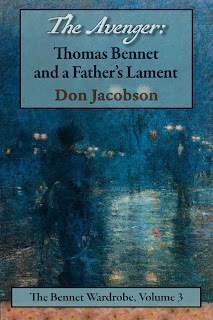 T’is late-July 1947, about two weeks after Mr. and Mrs. Bennet have translated from 1814. Bennet had drugged Fanny to allow her to move unawares through the Wardrobe. His wish? To fulfill her desire to see Kitty whom she believed was at seminary in Cornwall but had left the earlier timeline for the future. But, as Lydia Fitzwilliam had noted, “The Wardrobe has a nasty sense of humor.” The Bennets had arrived three years after Kitty’s death. In this chapter, the Bennets leave Longbourn House to seek privacy for the conversation they must have about the Wardrobe, the where/when, and Kitty’s fate. But, some items must be discussed before others. The path along the side of Oakham Mount gradually rose away from Longbourn’s fields and wound gently up through the ancient deciduous woodland. The undergrowth along the furrowed slopes bore testament to the benign neglect that had been the watchword for at least the last two decades. The economic calamities before and then after the most recent war had dictated different priorities for the current Master of Longbourn. That six-year long cataclysm had, itself, been a great winnowing that had stolen away and never repatriated great tranches of young men who might otherwise have been put to work by a competent forester clearing away the brush and juvenile trees that burdened the hump. Thus, the timberland had undertaken that which it had always: exercising its wooded privilege of entropy by reclaiming what Man had sought to turn to another purpose. His voice tailed off when he almost heard an audible <click> as she rolled her eyes in response to his rambling soliloquy. Bennet glanced expectantly at her. Those blue to near purple orbs peered up at him from beneath the brim of her hat; its lip fetchingly bowed down beside her ears by a broad azure ribbon tied neatly beneath her chin. A small smile played across her lips and showed a hint of even teeth. He stopped talking, and, using his long legs, loped up the hill a few paces, leaving Mrs. Bennet standing where she had halted. 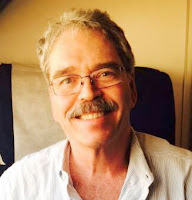 He then arrested his flight, and froze in place, his back to the lady, one fisted hand planted in the small of his back, the thumb worrying the forefinger as he sought to regain his composure. Mrs. Bennet, using the wisdom earned through a quarter century of managing her husband, waited for his assured return. “I thought I had become immune to your arts and allurements, so long has it been since I have appreciated you as an object of desire. Yet, when you turn those lighthouses of your soul…your incredible eyes…my way, I nearly forget how to breathe. “On the contrary, I would have only become more lackadaisical and more withdrawn in my own anguish and pain if you had not found your way Home from whatever ring of Hades where you had found yourself after that horrible day in the Year Zero. Only the good Lord knows what would have happened to our girls if you had withered like a bloom way past its prime. 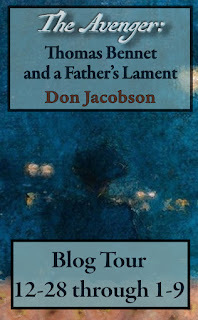 “Every step of the way you never asked what was best for you, only your family and Longbourn. I could not be prouder of you or your list of accomplishments that, I assure you, would put any female of the ton to shame. I imagine they would succumb to fits of vapors if they had to undertake half of what you have done since ’89! 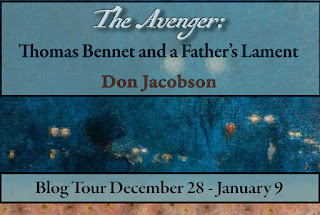 Don is giving away 4 eBooks of The Avenger: Thomas Bennet and a Father’s Lament. To enter, please use the rafflecopter below. Or link through to the rafflecopter website. The Wardrobe needs the Bennets to begin to execute its greatest mission...one which will be developed as we move forward in the Series. Look forward to your review and comments. Enjoyed the excerpt and am glad that this story focuses on Mr and Mrs Bennet. Yes, I needed to rehab each of these two so they could move forward into the depths of the plot. I enjoyed this post. Your continuation of the four loves to include the fifth and six is quite fascinating. You have made that reality a true part of the loves. I will always consider the extra two from now on as they are essential. This series of books is phenomenal! What is core to me is that the Fifth and Sixth Loves are actually processes rather than states of being. Congratulations Don and great cover Janet! You pull at every heart string with this novel! Appreciate your thoughts. look forward to your review!